Last Spring there was considerable debate & controversy regarding what gives Google+ posts shared by certain entities uncannily strong authority to outrank others in Google Search? I began noticing a strange power for my profile. If I reshared a Google+ post by a highly-followed G+ user on my own profile, and then a day or two later checked Google Search (logged out of Google, cache and history cleared), time and again I found that my reshare of the original post would be the highest ranking Google+ post for the title of the original post. In other words, I was often out-ranking users with many times the number of followers I had for their own posts in search. This was repeated again and again, where I could very often outrank people who had far more followers than I, for their own posts, when I reshared them. At that time, most people assumed that the more followers you had or the more +1's your posts got, the higher you would rank in search. But I was able to show that neither was necessarily the case. So what actually did (and still does) cause some profiles to rank higher than others in Google search? If not follower count or +1 count, what was the magic factor? On March 11, 2013 I began publishing my observations from preceding months, that PageRank authority was clearly functional & affected all aspects of public Google+, the profiles, pages & posts. Here are some excerpts I've highlighted & the embed to that full post is below. 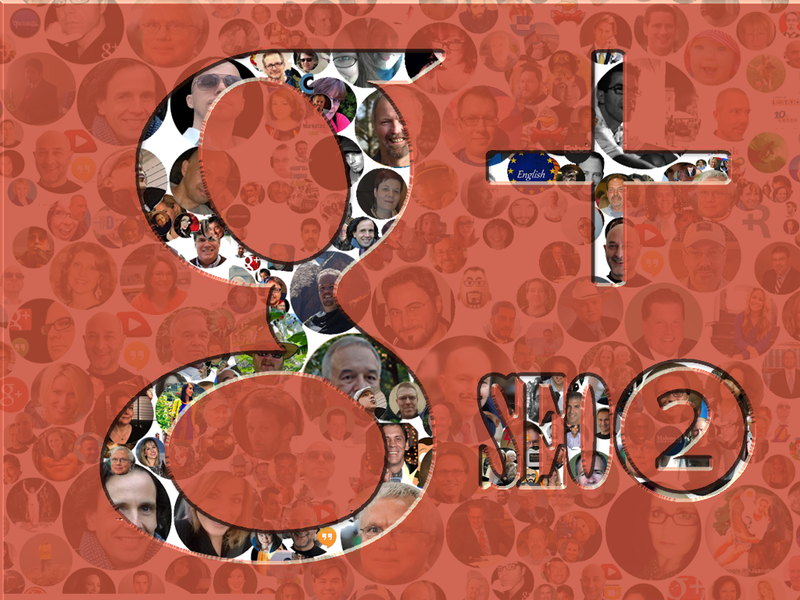 In the first part of this series, Google Plus Authority is Powered by People - G+ SEO 2014 ① you will find the rest of my 6 part PageRank in Google+ series. Is Google+ Page Rank the culprit behind the current suspicions of active AuthorRank? There has been considerable debate recently regarding whether Google's much anticipated Author Rank may already be at least partially active. Rather than an all new algorithm, "is there a magic deeper still which she did not know..." which may in fact be responsible? This prioritization would not just be based on the writer of that particular post, but naturally the interaction that particular post has had from other G+ users, their PR, which of them shared it, etc... Frankly I would say, based just on what we know so far about Page Rank, there is no need to claim there are other natural forces at work here. While I'm discussing PR here, let's not forget that traditional PR would be associated and passed on based on particular pages, but G+ and FB streams are not pages at all. So we can presume they will have similar results, but obviously the structure would be different. I also think that PR has evolved considerably and comments Matt has made also prove it, within the last year, or so. We should not expect G+ PR to be extremely similar to PR as we have traditionally perceived it. Over the last few months, most social signal ranking theories have been blown out of the water. There was a string of correlation = causation studies & Matt Cutts seemed to finally tire of them when he wrote... "Just trying to decide the politest way to debunk the idea that more Google +1's lead to higher Google web rankings." And the rest of that story is in my G+ embedded post here. But something important is not there... Matt Cutts obviously leaves off referring to the Google+ links, Profile authority, shares & re-shares, basically everything I've been teaching on G+ SEO for the last year. Next up we have Matt Cutts just released video in which the last remaining rumors of Facebook & Twitter as serious ranking signals are knocked out of the water. Hmm... now why do that, help people not to waste time building less useful social signals? I wonder if anyone else knows there's a huge audience of believers in Social SEO & to what other large social network might these go, if Facebook SEO is no go? Opportunity for answers suddenly presents itself yesterday in a Google Webmaster Central Hangout. Although we might give the impression that the PageRank in Google+, its ranking implications & SEO affects of this are a discovery, it's actually just a realization. In reality there was no previously confidential information disclosed by John Mueller, or discovered by myself earlier on. The PR Toolbar ranks were already public, the follow & nofollow link structure is public, the fact that Google indexes the content & how that content is affected in search is visible & always been public. The only thing we didn't have was public confirmation from Google that the current Google index algorithms treat Google+ content the same as the rest of the web. For which I have some relief that the debate on this topic can finally rest, because with the knowledge that we already have much of the rest falls into place. Finally yesterday, in a Google Webmaster Central Hangout with John Mueller, I cautiously pushed the topic to confirmation. Here's a transcription of just that conversation, [with my personal comments just added in brackets]. John I have one last question. It's known that Google doesn't take into account... those links for rankings. Facebook and Twitter?... I think Matt posted something about that, yeah. Yes. How about Google+ links? He didn't mention anything about it. I believe they're also "nofollowed," right? So if they're "nofollow" we don't take them into account for ranking. If they don't pass PageRank, we don't use them to pass PageRank. Uh, sometimes we use these to discover new URLs. So if someone for example Plus 1's something & that comes up on their Google+ profile & we can pick that up there, then that's something we might use to discover new URLs, but we wouldn't use that to change the ranking of existing URLs. The hyperlinks in Google+ are "follow," so... theoretically those would. Um, yeah yeah. ["Great, this guy's not gonna let it rest." ] I mean, if they're not "nofollowed," so if they're like normal links, than that's something where we can forward those signals accordingly. But of course if these are just random Google+ posts that nobody is actually linking to, then we have nothing to forward from there. So just having a page that links to your page doesn't pass any PageRank unless that page itself already has PageRank. So just creating fake accounts & linking to your site, or dropping lots of links on pages that are essentially, uh without weight in our algorithms doesn't affect your site. Uh so like the profile, or the page, if it didn't have any authority already then it wouldn't pass on any. But if it was someone who was respectable who had built up a lot of authority over time, then when they shared those links that could pass on authority. Well, if it's not "nofollowed" then, we treat that as any other link that we can find. So it's not that we would treat it in a special way, but rather, if we find this on the web & we crawl it & index it & see that there's a link to a website, then we can forward that PageRank that we have there.